The Interior secretary’s house guest impersonated him. Then Park Police were called on the neighbors. Washington • Living next to Cabinet officials can be tough on Washingtonians. But the events that unfolded Monday night in front of Interior Secretary Ryan Zinke’s home were weird by any standards. The Mercedes SUV had been idling for two hours, and was taking up three parking spots on Kentucky Avenue S.E. So Lincoln Park resident Gina Arlotto asked the driver to back up to free two parking spots, she said Tuesday. The driver refused. 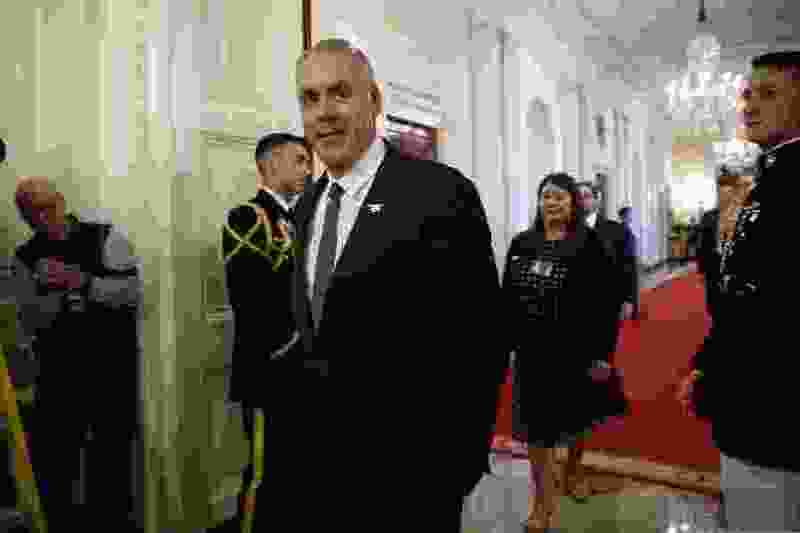 That's when a man who appeared to be about 6-feet tall, white and about 30 years old emerged from Zinke's front door. According to Legere, the man wheeled around toward the house without an answer and muttered as he walked to the front door. Within minutes, by around 9:30 p.m., U.S. Park Police arrived, and neighbors assumed the man called Scott had called them. Park Police fall under Zinke's department. Neither the Park Police nor the Interior Department immediately responded to a request for comment Tuesday.